More acts have been revealed for the 4th edition of the family-friendly Camper Calling, which takes place at Ragley Hall, Warwickshire, on the August bank holiday weekend from Friday 23rd to Sunday 25th August 2019. New this year for those purchasing the £30 Thursday add-on ticket is entertainment from Craig Charles with his Funk & Soul Club, The Christians, and The Real Thing. Friday night is a dance party, with a return from The Stickmen, high-impact street theatre with lights and lasers from Spark!, Balkan rhythms from Gypsy Unit, and on a day out from their inner-London pit are the Hackney Colliery Band. Topping the bill on Saturday night are The Fratellis, plus there's The Feeling, Ash, the return of Lucy Spraggan, and more. Sunday night will be closed by Skunk Anansie, plus there's Sleeper, Tony Christie, Thrill Collins, and more.  Others performing over the weekend include Eliza and The Bear, Bang Bang Romeo, Age Of Glass, LUCIA, Casey Lowry, The Dunwells, Monks, Elephant Trees, Tranqua Lite, Dutty Moonshine, LEKIDDO - Lord of The Lobsters!, Baked A La Ska, Uncle Funk & The Boogie Wonderland, Bierkeller Schunklers, Silent Disco. For the details as available please see the line-up page. Away from the music, there's activities for families of all ages from face-painting and funfairs, to graffiti to glitter, big tops and bumper-cars to watersports and woodland walks, plus creative workshops, campfire tales, and circus workshops, and street food, pop up cocktail bars, a huge Dance Tent, a Bier Keller with live music, cafés, bars, shops and stalls. You don't need to be a camper van owner or enthusiast to enjoy the festival. You can choose your area to camp, and if you come with a tent, you can camp next to your vehicle. Camper Calling director Shelley Mears said: "It's a true honour to welcome such legends to our festival. I believe that this is our strongest line up yet! Britrock mainstays Skunk Anansie are beyond thrilling as a live act. The Fratellis, The Feeling, Ash and Sleeper are also Brit-pop icons and masters of big sing-along indie anthems! And let's not forget Tony Christie - a living legend who's sure to get the whole festival up on their feet. I for one can't wait! There is guaranteed to be something to get you and the kids throwing shapes from noon until night. And its more than just the music, a large majority of the festival is programmed with families in mind so whether you are 5 or 105 there is something for everyone!"